Liverpool FC's success on the pitch last season has been reflected off it, with fan engagement increasing across the world and the club achieving its largest ever online audience. During the first half of 2018, the Reds were the most popular English football team on YouTube, with exclusive and entertaining content attracting more than 52.9million views. 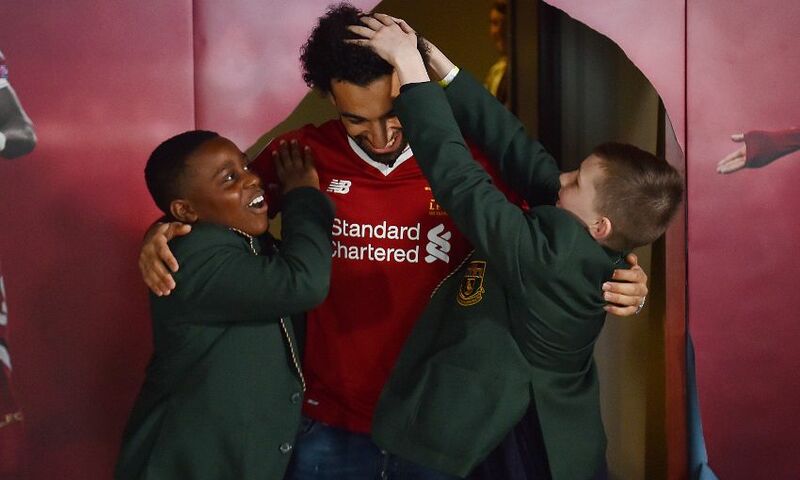 In March, Mohamed Salah took part in a hilarious prank to surprise young Liverpool supporters. The video has become the most watched content ever on LFC’s Facebook page and YouTube channel, with more than 10million views in just three months. Other popular LFC YouTube videos from the past season included local schoolchildren receiving a visit from first-team players including Alex Oxlade-Chamberlain and Roberto Firmino. A combination of similar heart-warming videos with young local fans, behind-the-scenes footage, vlogs, and comedy moments with players have helped the Liverpool FC YouTube channel reach one million subscribers – one of the leaders in world football. The club’s Instagram account is currently the fastest-growing in the Premier League and its Facebook page has recently seen its highest level of monthly growth in more than three years. LFC’s marketing and media director, Markus Breglec, said: “Social media is a fantastic platform where we can engage with our fans, locally and internationally, and where we can showcase our incredible achievements, not just on the pitch but also within the local community too. “Channels such as Facebook, YouTube and Instagram have really helped us reach out to our fans and generate a two-way conversation with our supporter base, which is great to see. You can keep up with the rest of the pre-season action and the build-up to the new campaign by subscribing to LFCTV or LFCTV GO at www.liverpoolfc.com/watch.